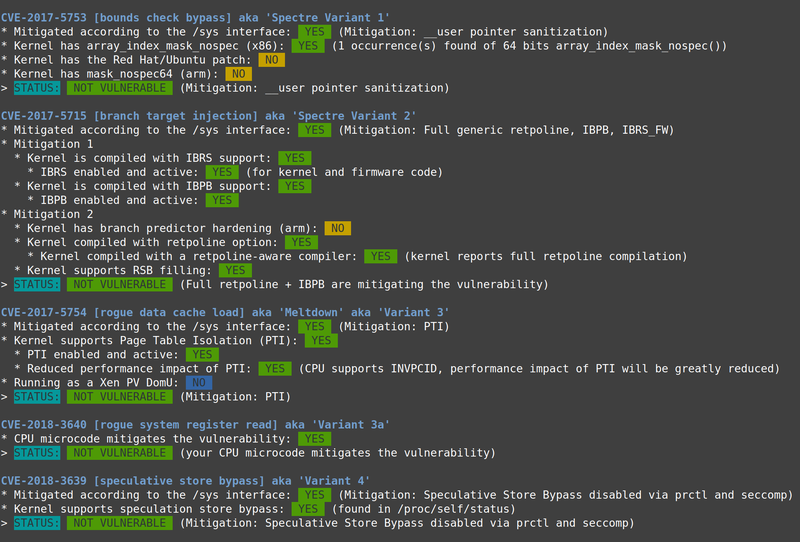 I seek some reliable ways / tools for checking Spectre and Meltdown system vulnerabilities on Linux? I have found one good and maintained script on GitHub (link). Command-line tool to scan for and suggest fixes for XSS and SQLi vulnerabilities in Perl?